When you’re out turkey hunting, using locator calls correctly can make the difference between coming home empty handed or with a boss gobbler in tow. In more than 30 years chasing turkeys, using locator calls have become a huge part of my hunting arsenal. First off, a locator call is simply using a call or sound that forces a gobbler to answer you back; therefore, giving away his location. They come in a lot of flavors and knowing which one to use at the right time is a must-have piece of knowledge. Crow calls are a great tool for locating toms, but crow calls are best used during certain times. I have learned to never use them before daylight. It is unnatural to be blowing up the turkey woods with a crow call considering that almost zero bird species are very vocal when it is dark. Savvy birds might answer multiple times but you will never see them after they fly down from their roosts because they know. My favorite time to use a crow call is after late morning when the birds have turned their voices off. When the heat of the day happens, activity seems to come to a halt and gobblers get anxious. So, using a crow call usually agitates them into answering as they are already getting grouchy from the lack of mating action. This is a fantastic way to inject hope into a slow hunting day. My favorite locator call is a box call, or sometimes referred to as a paddle call. The bigger the box, the bigger the sound, and box calls are notorious for forcing long-distance answers. I personally prefer a medium sized box and paddle due to the convenient size and carrying ability. There is something unique about the design of the hollow wooden or synthetic box call that really makes it resonate when it is turned loose by a competent user. The sharp tones and the piercing notes make the average box call universally effective wherever there are turkeys to locate. However, box calls are to be fully used only for long distance action. If there is any possibility that you are set up near some birds, always start soft calling and turn up the volume until you get an answer. There isn’t a turkey habitat in the country that is not also home to owls. Although they come in many different shapes and sizes, owl calls all mimic the same bird of the night. It is my opinion that owls are a constant nuisance to roosting turkeys as they try to rest during the owl’s busiest hours, so using an owl call can be magically agitating to any tom turkey which will indeed force him to answer. I find the best time to mimic an owl is right before first light. 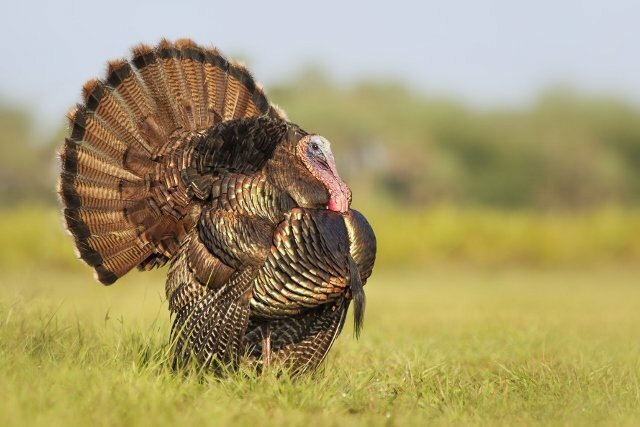 However, during the heat of the day when hunting is at its slowest and gobblers are at their quietest, deploying the owl call will be our best bet to locate a cranky gobbler.